We’re lucky to live in a place that is home to a wide array of habitat types, from grasslands and redwood forests, to expansive oak woodlands. Of all the various habitat types, stream habitat is one of the most vibrant. It is the lifeblood of our landscape, and the POST community is responsible for protecting over 170 miles of it – that’s equivalent to the distance of San Francisco to Yosemite! 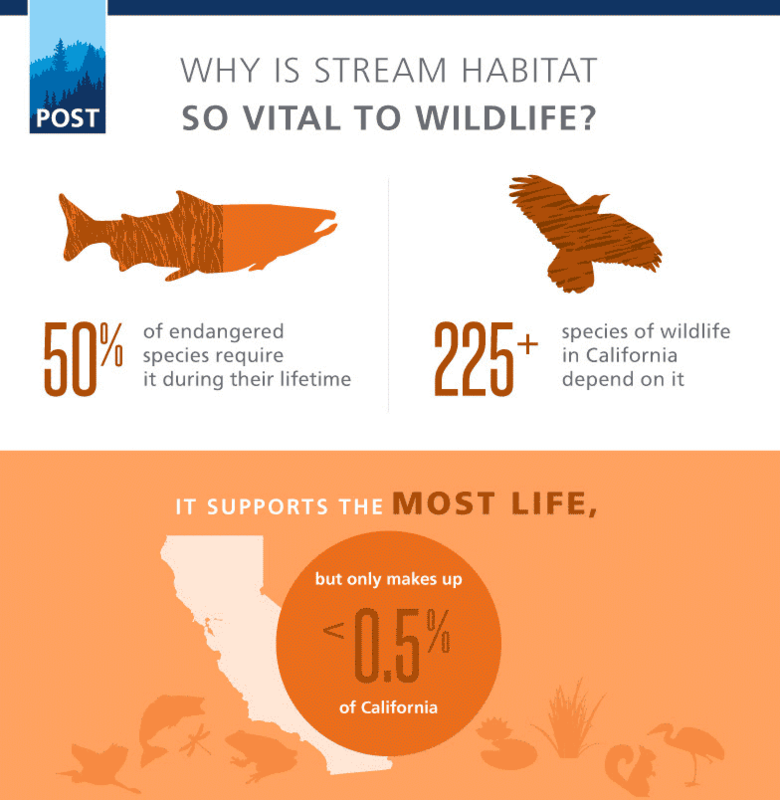 To understand just how important this habitat is and what makes it healthy, we created this infographic just for you. One look and you will have a whole new appreciation for our local streams. But there is more to the story. We have also worked to restore many of these streams and rebuild this important habitat for local wildlife like steelhead and Coho. The result is a protected source of clean, abundant water that is vital to farming and the health of our communities and environment. Last month, we shared a video about our local watersheds, why they’re important and where you can get out and explore them for yourself. If you missed it, you can watch it here.